LEARN from expert faculty. RELATE to professionals from across health care. INNOVATE in your workplace and career. The University of Pennsylvania offers an online master's degree in Health Care Innovation for those aspiring to improve health care. Designed by the Department of Medical Ethics and Health Policy, the Master of Health Care Innovation (MHCI) connects working health care professionals worldwide to lead change. Join a selective cohort in a 20-month program of online education, and network in person during two brief seminars in Philadelphia. Should you need to spread out the workload and financial commitment over more time, a 3-year option is also available. 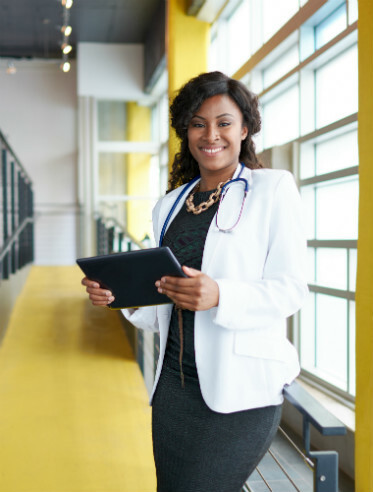 Through MHCI coursework, you will build a foundation to improve processes of care, increase the value of health care services, shape patient and clinician behaviors, and contribute to the development of health policies. Assignments will help you practice innovation methods and tools such as problem framing and rapid validation techniques alongside business skills such as proposal writing and pitching to stakeholders. Current cohorts include physicians, nurses, administrators, consultants, executives, and researchers. They practice at academic medical centers, health systems, urban and rural hospitals, and in pharmaceutical, insurance, and device companies. Together, they average 14 years of work experience—ranging from 3 to 30 years. They live, work, and study across the United States and abroad. If you have questions, please contact Program Manager Katherine Ridella by email or telephone, 215-573-9378. Health Care Innovation connects multiple areas of expertise.